Please read and if you agree, share it with all your friends. Action needs to be taken to correct this horrible decision by the All Boards Chairmen and The Region One Board Of Education. Region One taxpayers will have provided over $110,000 for a 403b retirement plan for the superintendent by the time she retires. Is the Regional School District No. One Board of Education so dense that it didn’t know that was a part of her employment package and that they had already provided plenty of money to her in the form of a retirement benefit by the time she retires in June of 2017? Further she was also given two years of health insurance so she pays very little for that benefit and those two years will take her to Medicare eligibility. No other superintendent in the history of our regional school district has been given a severance and health insurance in retirement. Both boards (All Boards Chairmen and Region One) gave an ADDITIONAL retirement package to the superintendent, with a multi-million dollar renovation project for H.V.R.H.S on the horizon, and with massive state cuts on the horizon. Well, here are the cuts in ECS funding for each town in Region One(and Norfolk)…once again NO RESPECT has been shown to the taxpayers that fund education in Region One….it is time to once again, defeat this current Region One Budget proposal, cut administrative costs, cut our bloated administrative budget, and spend the money on actually EDUCATING our students, not enriching our administrators. Read below and weep taxpayers in the following towns…. 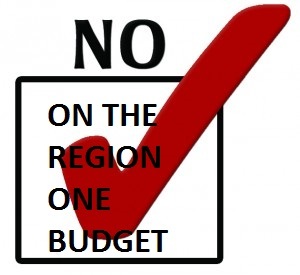 “Shall the combined net budget for Regional School District No. 1 (Housatonic Valley Regional High School, Pupil Services Center and Regional Schools Services Center) for fiscal year 2016-2017 in the amount of $15,494,235 be approved? Vote “Yes” or vote “No”.